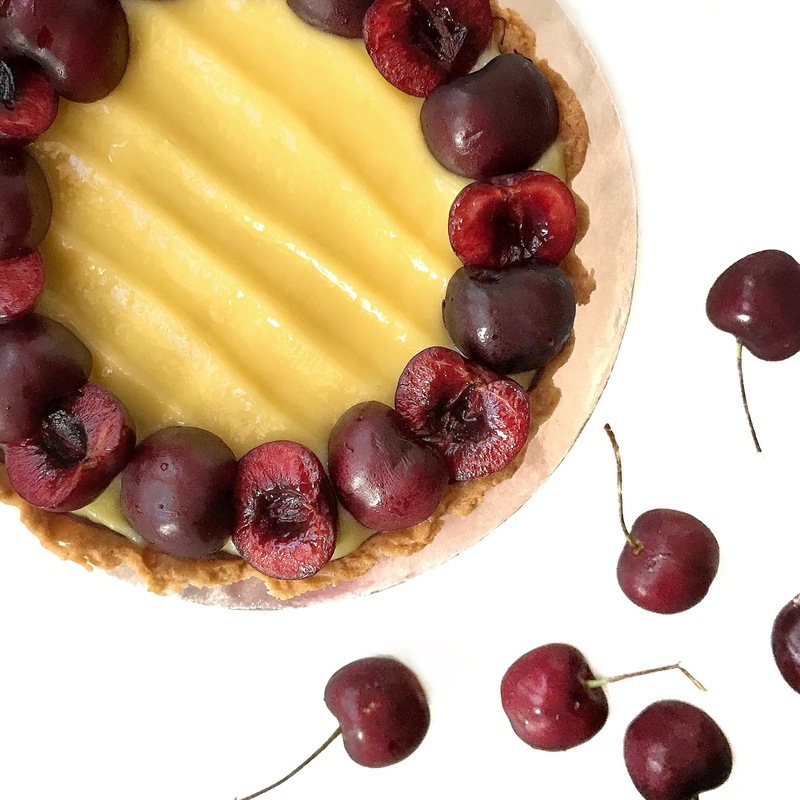 Two components to rave about in this one recipe- fresh cherries ( Whooohooo the season is finally here) and lemon curd ( tangy yummy curd). 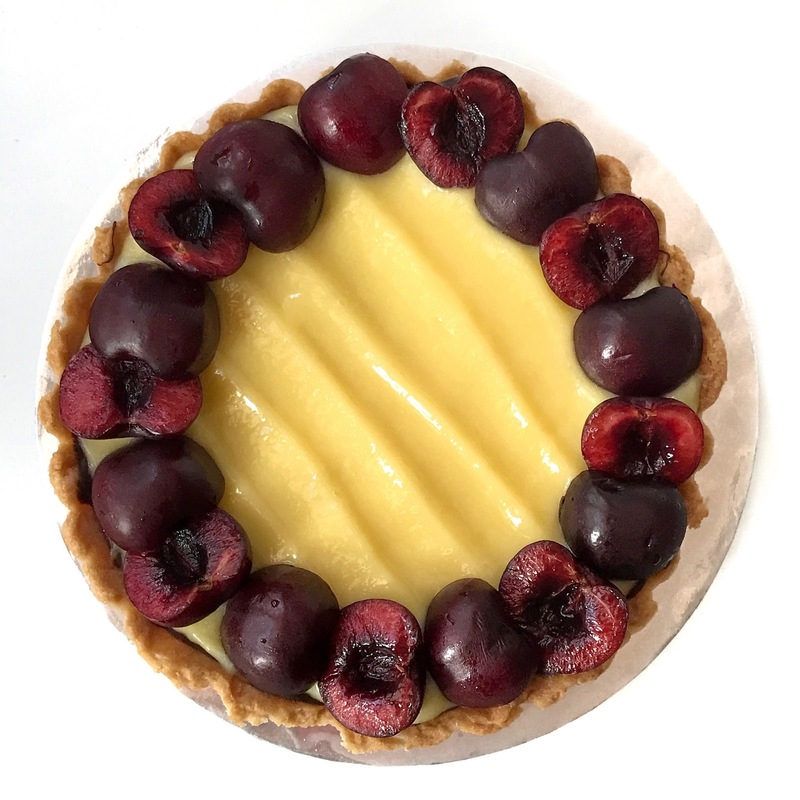 The last time I made a lemon tart, it received so much good feedback that I was amazed how a humble tart could actually please so many peeps ( Note: not really a fruit tart person but I could well do with it as long as it is a dessert) haha. Someone wanted it badly so I made it again. But this time round the curd was topped onto the tart and left to set in the fridge. 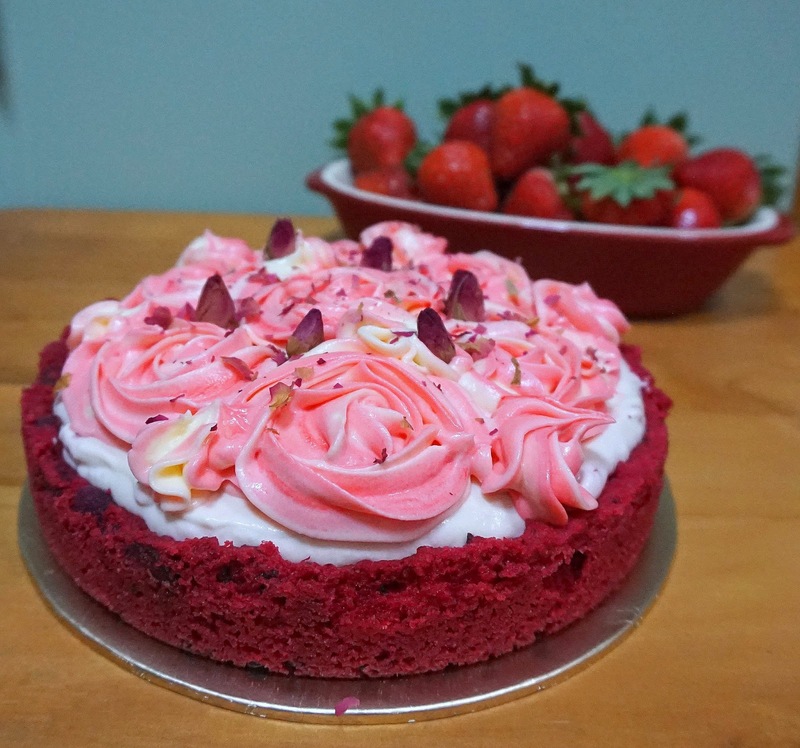 If you like a more set lemon filling, you will love this version here where the entire filling and tart is baked together. 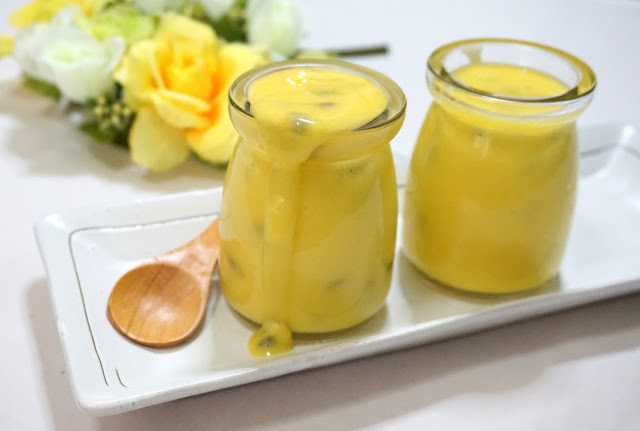 For a more creamy custard like tart, the recipe below is perfect for you. Mummy bought a bag of cherries from the usual fruit seller. They were plump, sweet and had a bite to it. Oh how I love my cherries… especially when they are super fresh and cold. And because they look super bright and red, I felt it was a good addition to the lemon tart. 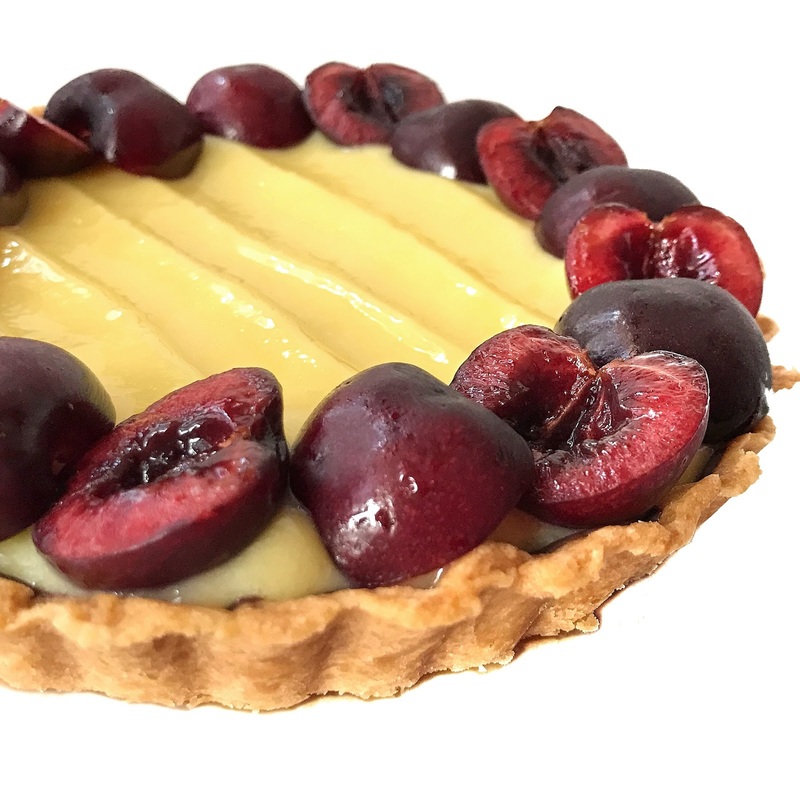 So there you go a Cherry Lemon Curd Tart. 3) Taste to ensure the curd is smooth and cooked through then remove from the heat. 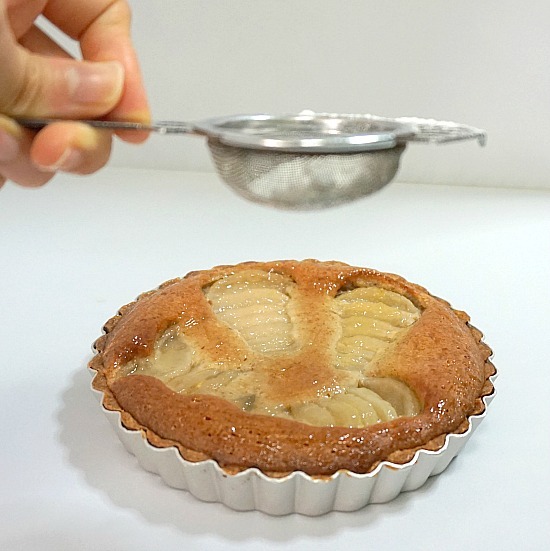 6) Remove tart from oven and remove the foil and bake for another 25 mins until lightly golden.